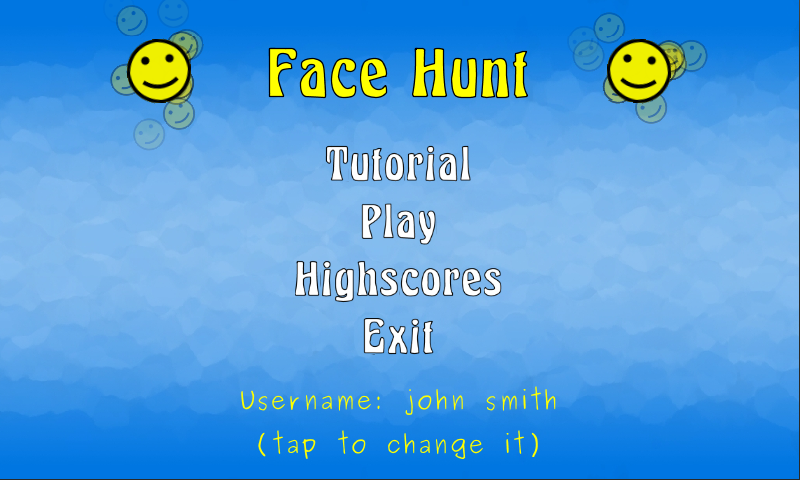 It's the challenging action game where you fight against evil smileys. 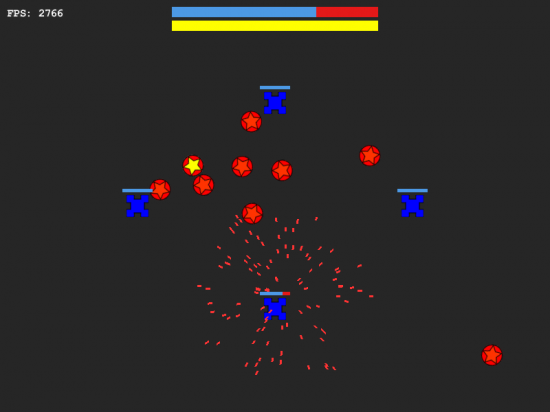 Defeat hundreds of enemies before they kill you, touch over them to make them explode. 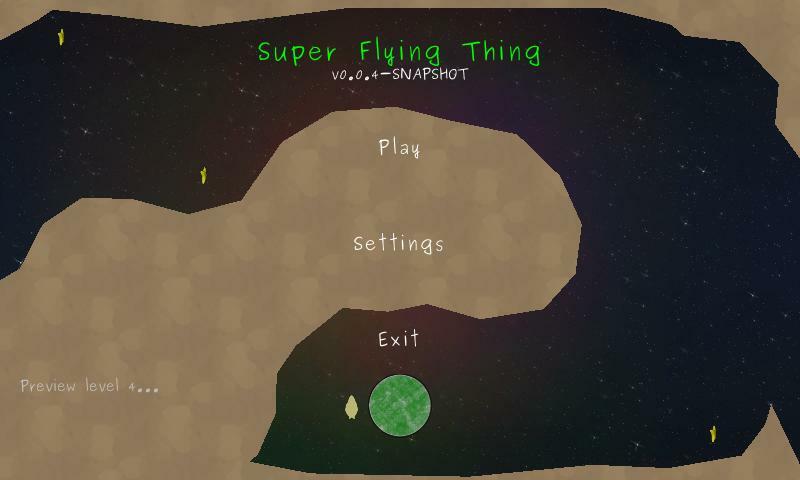 Master the flight of the Super Flying Thing traveling through complex paths and dodging multiple obstacles while collecting stars and reaching the target planet alive. 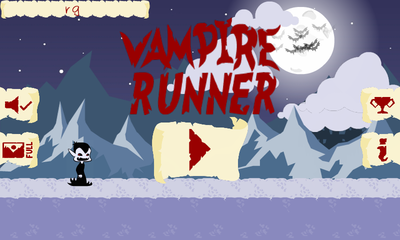 Help save the friendly vampire running for his life!. Transform him into bat or mist to move through different obstacles. 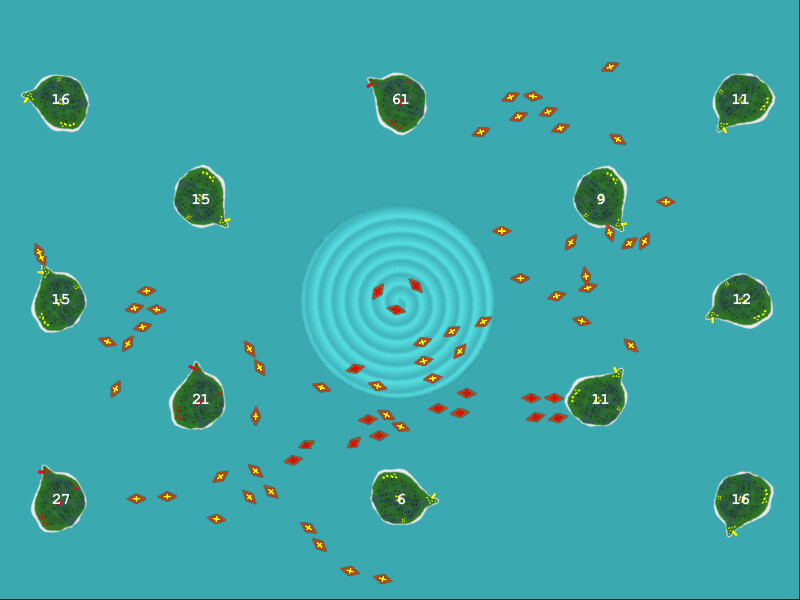 Zombie Rockers is an example of a match three game like Zuma, Luxor and Pirate Poppers. 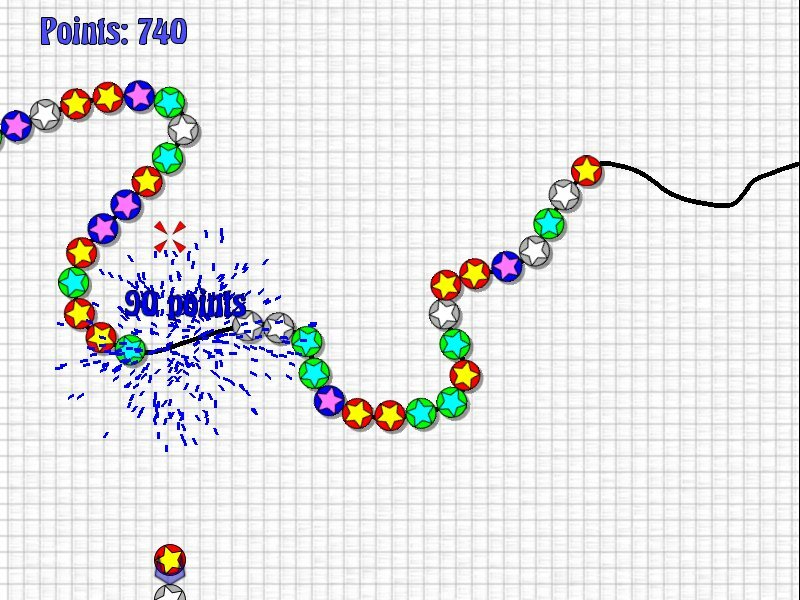 The objective of the game is to prevent a chain of balls of different colors rolling along a given path from reaching the end of the path. 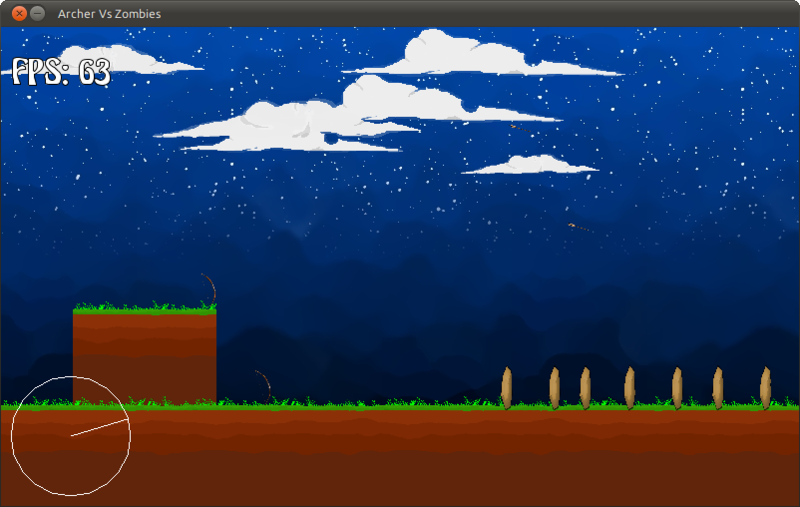 Throw arrows to incoming enemies. 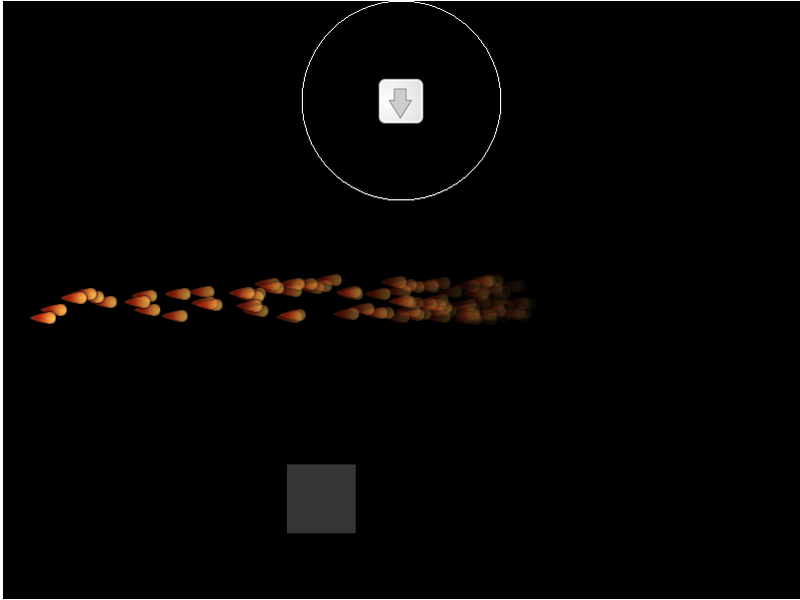 Make the particles reach the target by changing the flow. 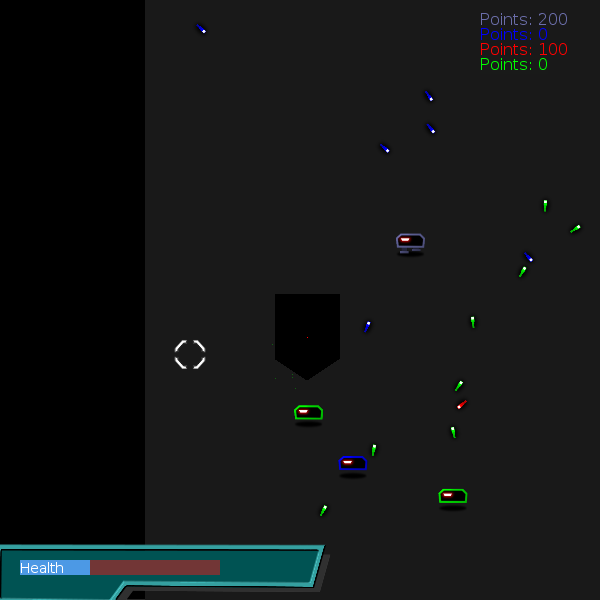 Survive an incoming attack by using a friendly robot which defend you. 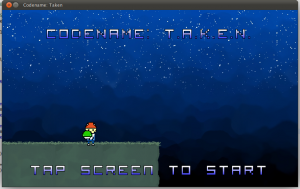 A demake of Puppy Games's Droid Assault for Game Jolt Demake Contest. 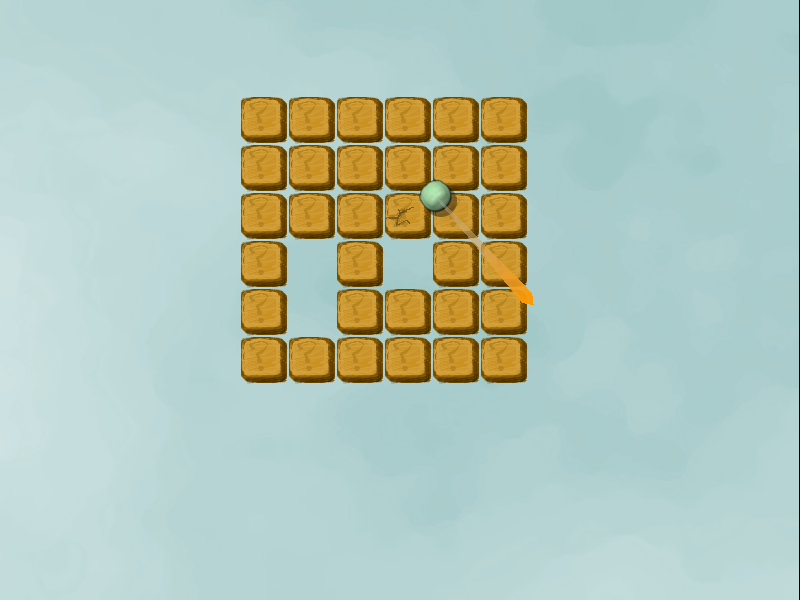 It is a puzzle action game where the objective is to make the ball reach all the crosses safe. To do that, you will have to discover a safe way of blocks avoiding others that will break if you get over. If you fall, you lose. 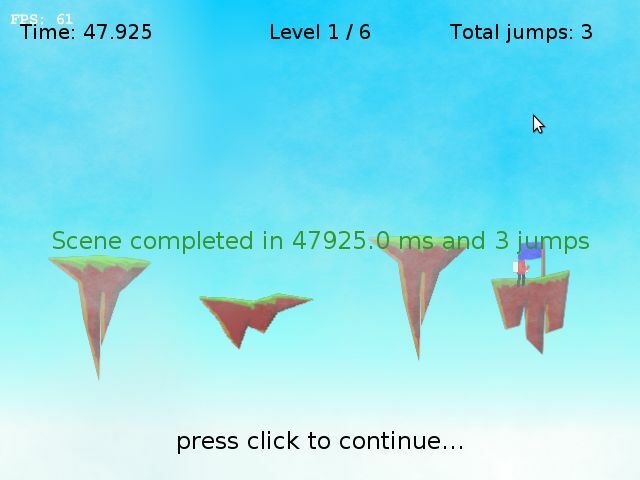 It is the action/puzzle game where you jump between different platforms to reach the blue flag. 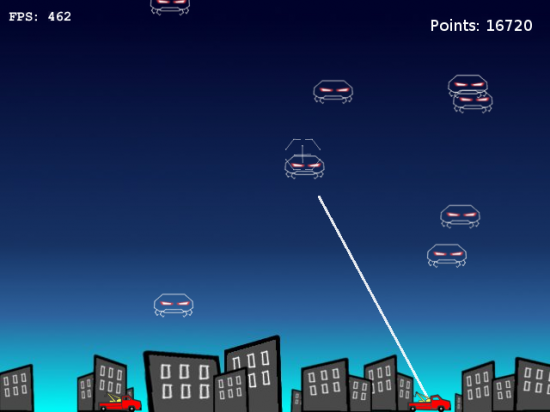 Grab enemies and shoot them to other enemies to kill them. 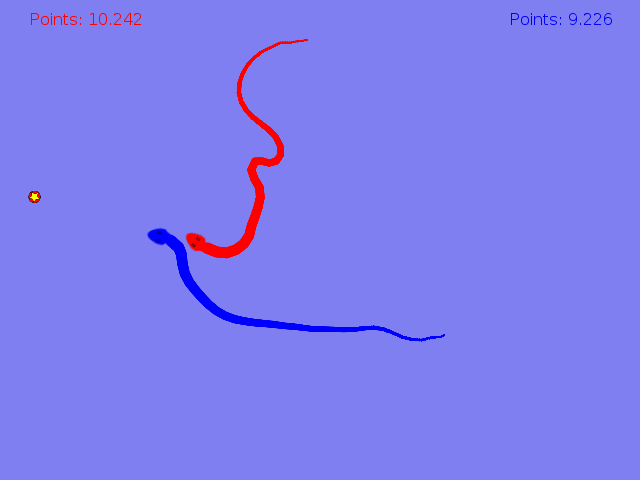 A remake of the classic snakes game with a 360 degree of free movement. 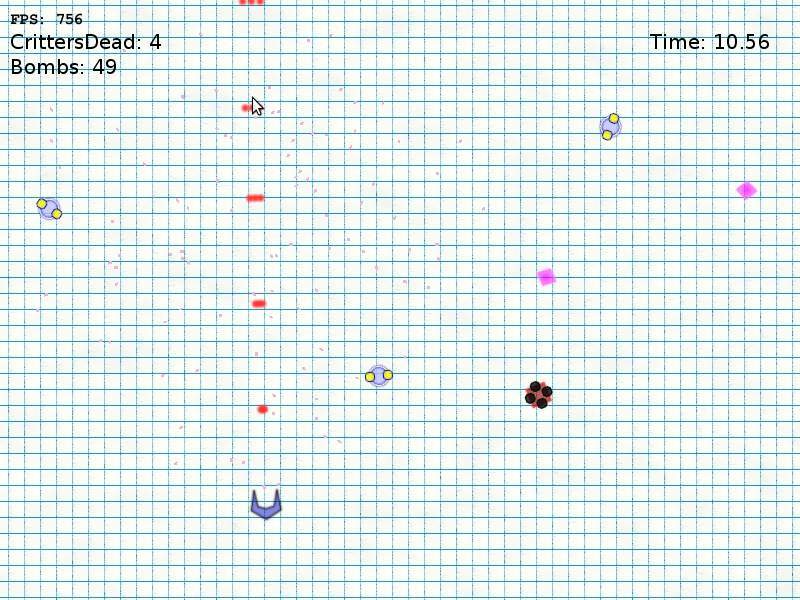 A simple shoot em up game like Geometry Wars. 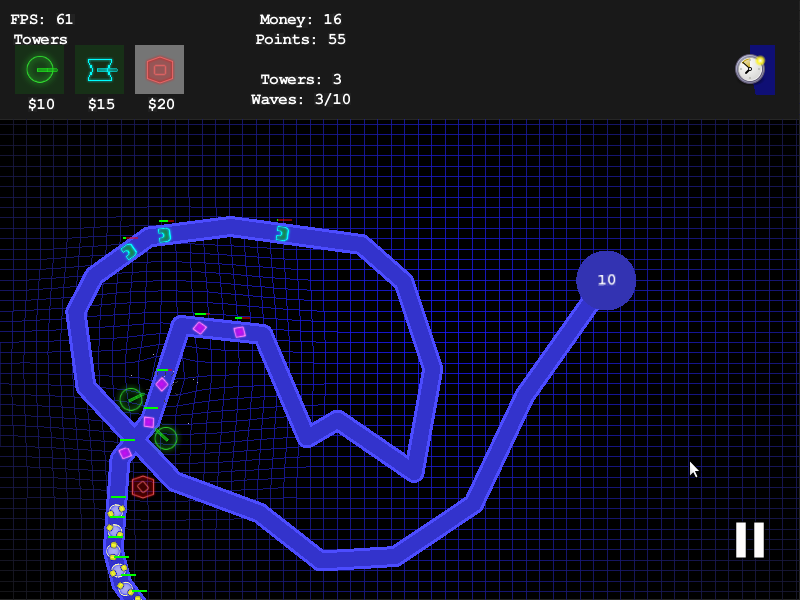 Cloned version of the tower defense game named geoDefense for iPhone and iPod touch.